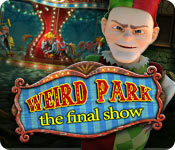 Weird Park: The Final Show is rated 4.5 out of 5 by 110. Rated 5 out of 5 by Bumbles2 from Great game and not boring !!! This whole game is being controlled by an evil little munchkin and the clown is not the bad guy...and I hope that's not giving too much away...!!! We had an absolute blast with this game...it's definitely not at all boring...even all the mini games and puzzles are all different. And there is never a lack of something to do. I also enjoyed the length of this game...its actually quite long which I was happy with !!! The artistry is excellent in this game and items are easily seen when you look in the right places...LOL The music was also well done and fit with the theme of the game. There is tons of stuff to do in this game...not a chance you're going to get bored, And much to my surprise...I thot I was at the end of the game but I was in for a wee surprise...I was not finished,,,I thought this to be kinda cute that the developers threw this in here...it simply added to the charm of this game...we continued playing for an additional hour or so. All in all this game was definitely worth the money I spent. I don't think you'll be disappointed if you buy this game...its one of the best !!! Have fun all !!! 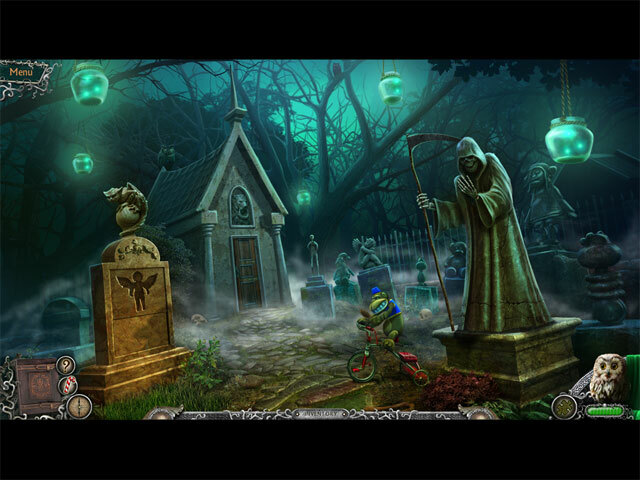 Rated 5 out of 5 by coffeyfan77 from Super Strange and Super Fun Finish The Weird Park trilogy comes to a close with this hidden object game, which explains to us how the inimitable and frightening Mr. Dudley came into being and what he's all about, really. It also wraps up the stories of a couple of the other characters from the first two games while giving you a new adventure all its own. 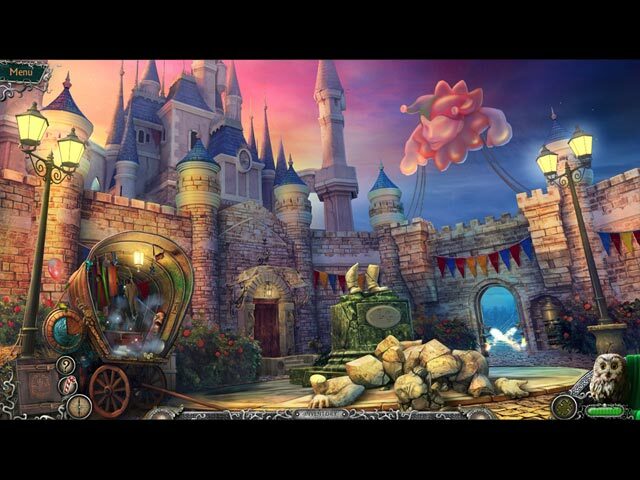 Throughout, it brings so many elements of circuses and magic that by the time you're done playing you will thoroughly enjoy the weird but very fun vibe that only these games have. Your character is allowed by the police to take pictures of a house from which a boy disappeared, but you're not supposed to enter. You can imagine how long you obey that rule. What you may not imagine is where this surreal journey will take you. The main game is quite lengthy and full of puzzles and HO scenes alike, and once you've completed it you are rewarded with a bonus chapter that delves into the backstory of the villain even further. It's a heck of a lot of value for a standard edition game and in my mind they could teach most CO editions a thing or two about rewarding content. The animations of the characters are quite well done, better than expected really. Voices and sound are good, and the game looks great through plenty of fantastic scenes. You couldn't ask for much more from an entertainment standpoint than the final show. I for one am disappointed that we won't receive another encore. Top notch. Rated 5 out of 5 by zenbiefyd from weird story makes the grade This is my first Weird Park game and I loved, loved, loved it! The graphics were fabulous, clear and colourful, as was the sound. The games and puzzles were interesting twists on similar old favourites and were a good mix of easy to very challenging. Clowns are always kind of spooky and I wondered right from the start if I wanted to play this game, but their characters were so well created the clown factor was tempered. And then, just when you thought it was over...a whole new episode began making this game one of the best storylines I have played (and it's not even a CE). If the rest of the series is as good as The Final Show this series will certainly make the top of my list of favourites! Rated 5 out of 5 by Robertnico from unprecedented i repeat: in one word an unprecedented game!!!!!!!! perfect entertainment !! Rated 5 out of 5 by LinRad from Surprisingly great game! For a 'less-than-top-dollar' game, Weird Park: The Final Show really gives a lot for your money! Lots of mini-games, interesting plot, and a substantial bonus game that fits very nicely as a prequel to the main game. I was constantly (pleasantly) surprised at the difficulty of the puzzles and mini-games. You get a lot of bang for your buck with this game. Rated 5 out of 5 by zandu2 from Awesome I ran across this little gem and then I remembered, that was back then; you really knew how to create great games. Visual was supreme and they also talked which surprised me and it was done well, music was fine suited the game. Story line the best.. Here's hoping that you can make more like this. I definitely recommend this game if you do not all ready have it.. Rated 5 out of 5 by ibrae from Great game! I loved this game! 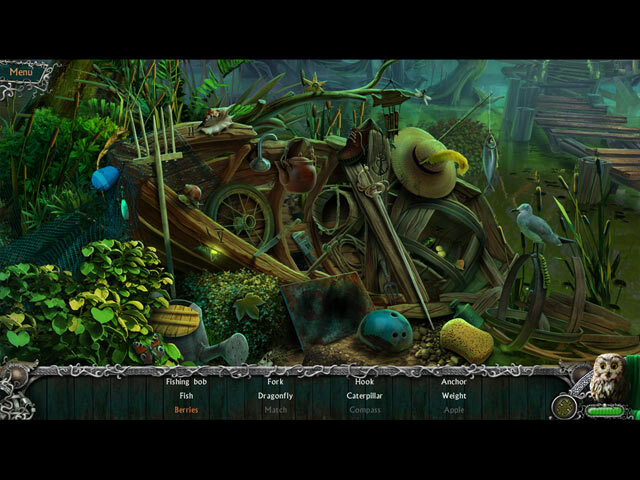 Everything about it was great...puzzles, hidden objects, graphics and sound, story. I'd say it was the best game I've played from BFG. And 8 hours of play for a standard version makes this game well worth buying.